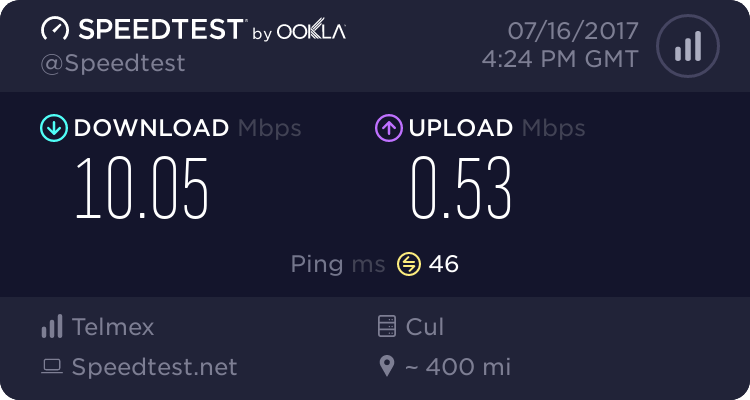 As of a few days ago my Telmex internet has slowed down big time. I am in Ajijic central and wonder if others are having the same problem. Frustrating! Mine is fine (next door to the LCS). If it doesn't improve, call in someone to check your connections. The rainy season can play havoc on them. My download is 2.44 and upload is 0.55...bummer. as of late I have had a few outages with Telmex. I have reported same and things were up and running again. And later that day I received a call from Telmex asking me if it was working. They said the problem was at their end. 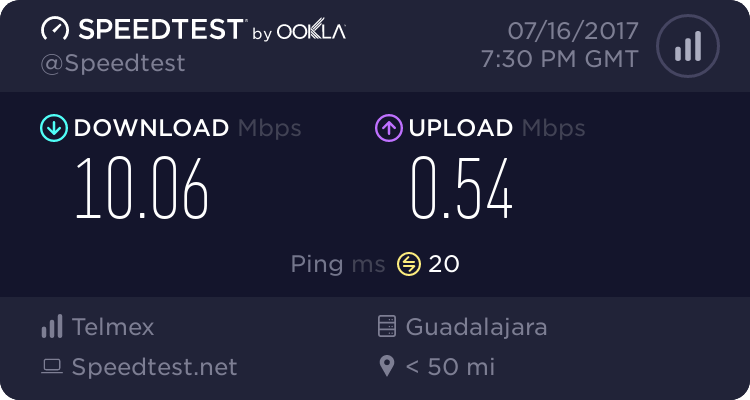 EDIT: Several of us at the computer club last Friday mentioned that we usually never had short outages with Telmex, but for the last few days there have been very short interruptions in our normally always connected Telmex Infinitum internet services. 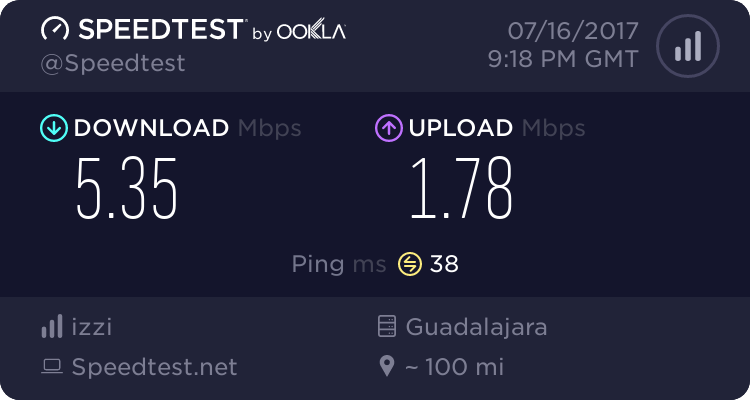 For backup, I use Telecable which seems to cut out more than Telmex and during periods of heavy use the download drops from the up to 5 down to 2 down. Shown below is what I am getting right now. your letter grades and "Faster Than" %s are interesting. Upload speed must be more highly valued than I would have guessed. Upload speed is important if you use the cloud or Skype. Voip etc. For just surfing, you will never notice.